Where do CPA Exam Research Questions Come From? So, how well do you know the Financial Accounting Standards Board Accounting Standards Codification? Can you recite it from beginning to end without missing a beat? Is committing the standards to memory even a reasonable or practical expectation? A similar question posed one of the primary challenges that led to the development of research questions on the U.S. CPA Exam. In a periodic assessment of accounting practice known as the Practice Analysis (1999), the AICPA CPA Exam team found that accounting references were becoming increasingly lengthy and complex, and were also available in an electronic format. Essentially, in the real world, CPAs were only memorizing sections of the standards that they used on a daily basis and used an electronic search to find any additional information they required. At the time of the 1999 Practice Analysis, the CPA Exam was still in pencil and paper format, so testing the application of accounting references that reflected real-world accounting practice posed an obvious challenge for CPA Exam developers. The Knoxville Daily Sun reported that the United States and Hong Kong have signed a five-year mutual recognition agreement establishing reciprocity between CPAs in the U.S. and Hong Kong. 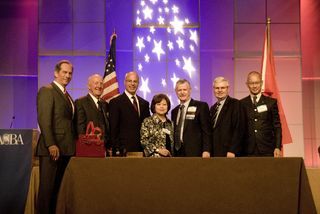 The agreement was signed at NASBA's 104th Annual Meeting in Nashville. "This new agreement will allow qualified accountants in the U.S. and Hong Kong to work across borders," said Barry Melancon, CPA, AICPA president and CEO. "Globalization is rapidly changing the way business is done across the globe and CPAs will continue to play a vital role in the financial systems in the U.S. and abroad." Mutual Recognition Agreements facilitate the process for qualified professionals with accounting credentials to become certified and licensed in each other's countries. The agreements are subject to individual state board of accountancy acceptance. When I saw Sunday’s New York Times article on eco-concierges—consultants who advise consumers on how to make their homes and lifestyle more environmentally-friendly—I did a double take. At a time when so many consumers are facing economic uncertainty, how can anyone afford to pay someone to tell them which recycled paper towels to buy? As it turns out, there’s more to it than that. Consumers are not only looking for guidance on how to be more environmentally conscious, they are also looking at many products that provide cost savings, whether immediately upon purchase (cheaper, chemical-free cleaning supplies, for instance), or over the long haul (like investing in more energy-efficient appliances or vehicles). The subtext here is that consumers are increasingly concerned about the part they play in the environment, and are making affordable purchases accordingly. At the same time, they are holding businesses, services and governments accountable for the part they play in the environment as well. Three years ago the AICPA’s Professional Ethics Division embarked on a new project aimed at restructuring the AICPA’s Code of Professional Conduct into a logically structured, topical format. The concern was that the Code of Professional Conduct could at times be difficult to navigate as many provisions were scattered throughout and didn’t follow an intuitive order. 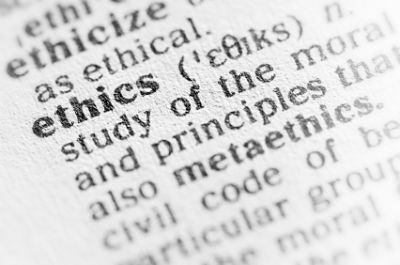 The Ethics Codification Project, as it has been dubbed, also provides an opportunity to evaluate any guidance that lies outside the Code of Professional Conduct and determine whether to propose that some of it be made authoritative. The Professional Ethics Division and Professional Ethics Executive Committee also continues to work on converging the AICPA’s Code of Professional Conduct with the International Ethics Standards Board for Accountants’ Code of Ethics for Professional Accountants. A requirement to being a member of the International Federation of Accountants is that no member body should have standards that are less restrictive than the IESBA’s Code. As the Ethics Codification Project continues, the PEEC will consider those standards that need to be changed to meet the minimum IESBA standard. Convergence is not expected to lower standards, but rather where appropriate, make standards more robust or provide guidance where guidance is lacking. Ultimately these projects will create a user-friendly and intuitively arranged Code of Professional Conduct. Additionally, we expect the codification will be available in a web-based platform, which further enhance the quality and ease of use to the Code of Professional Conduct, as well as allow users to browse by topic and perform searches on specific information. This is a long-term project though, so don’t expect to see the updated Code of Professional Conduct immediately. In fact, we don’t expect to see an exposure draft until the Spring of 2012 with approval and issuance estimated one year later in the Spring of 2013. For the time-being, convergence changes are being exposed for comment and the latest version of the Code of Professional Conduct can always be found on AICPA.org. Ellen Goria, CPA, Senior Manager - Professional Ethics Division, American Institute of CPAs. 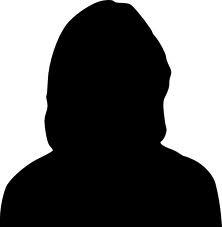 Ellen staffs various task forces that develop independence and behavioral guidance for exposure to membership. She also assists with interpreting the Institute’s Code of Professional Conduct by providing guidance to membership, state CPA societies and other interested parties on ethics and independence issues. In her role, Ellen also works closely with other AICPA teams to ensure publications accurately reflect the AICPA’s current ethical positions. Heidi Brundage, CPA, SPHR - I had the pleasure of opening the North Carolina Association of CPAs first ever Professional Women’s Conference on Wednesday. More than 200 women were in attendance; it was a day of awareness, networking and encouragement! This post from the Harvard Business Review reminds me that we have so much work to do to bring awareness to the lack of advancement of female CPAs. Stacie Saunders - On Thursday, Facebook announced it has teamed up with the U.S. Department of Labor and three employment-related agencies in an attempt to decrease the country’s unemployment rate using social media — a project that may eventually include a Facebook jobs posting system. What does this mean for LinkedIn? We will have to wait and see! James Schiavone - The iPhone 4S wasn't the announcement many Apple fans were expecting, but it did come with one surprise, Siri. The personal assistant, called Siri, makes life easier with reduced typing and heightened potential for your most meaningful exchange of the day to be with your iPhone. I thought I was all cutting edge using my Android to talk-to-text, but apparently I can be edgier and get useful answers to real life questions spoken back to me. Siri is still in beta and promises to become even more advanced in future versions, but folks are having a lot of fun testing it out. Gregory J. Wright, MBA - Groupon finally filed for its IPO this morning, but is only seeking a valuation of $11.4 billion, less than half the $25 billion it sought earlier this year before their accounting was called into question. In 2004, the AICPA Auditing Standards Board began work to clarify Statements on Auditing Standards, Statements on Quality Control Standards and Statements on Standards for Attestation Engagements to make them easier to read, understand and apply. At the same time, the ASB undertook a project to converge its standards with those issued by the International Audit and Attestation Standards Board. Last week, the ASB announced it has achieved a major milestone in the Clarity Project with the issuance of SASs Nos. 122–124. Together with the issuance of SASs Nos. 117-120, 44 (out of 47) clarified SASs have been completed and issued. Most Clarified SASs become effective for periods ending on or after Dec. 15, 2012. For exceptions to this effective date, view the AICPA’s resource which highlights those standards with a different effective date. This is the first complete recodification of U.S. generally accepted auditing standards since 1972. While the main goal of the Clarity Project is make U.S. GAAS easier to read, understand and apply, another goal was to converge with international standards while avoiding unnecessary differences with the auditing standards issued by the Public Company Accounting Oversight Board. Some differences are necessary as the auditing standards are used for audits of public companies while the SASs apply to audits of private companies. 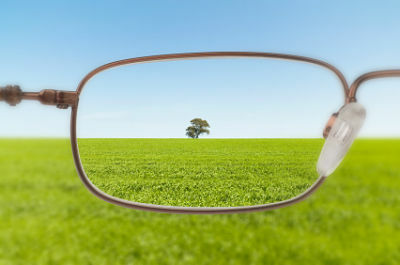 So what does the Clarity Project mean for you? For quite a while now, decades in fact, the accounting profession has been discussing the problems faced by private companies and the users of their financial statements because of a lack of relevance and unnecessary complexity in too many places in U.S. GAAP. The Blue Ribbon Panel on Standard Setting for Private Companies made recommendations earlier this year that gave us a greater sense of hope that real change was on the way. The Panel, formed by the AICPA, the Financial Accounting Foundation and the National Association of State Boards of Accountancy, came out with two significant recommendations that would permanently change private company financial reporting. One is differences in existing and future GAAP where warranted; the other is an independent board to set those differences. There is general consensus on the former; I want to focus on the latter. Last week, I had the pleasure of attending the AICPA’s Leadership Academy—as a member of its third class—in Durham, NC. I was among 33 participants under the age of 36. The Academy started off like many seminars do in this mobile age, with participants glued to our smartphones and somewhat disconnected from our surroundings. But that disconnection would be short-lived. The mood transitioned quickly to one of collaboration and engagement as the instructors—Gretchen Pisano, president Sounding Board Ink, LLC, Tom Hood, CPA, executive director and CEO of the Maryland Association of CPAs and Jeannie Patton, AICPA vice president - students, academics & membership—began the Insight to Action process. We broke up into three groups to tackle three challenging real-life scenarios in business, non-profit and personal relationships. These tasks forced us to focus on the strengths of our characters, utilizing the i2A Strength Based Leadership program that we had been introduced to during our preconference workshops. The program coaches participants for leadership, teaching them self-awareness techniques, how to work from a source of natural strength and how to inspire their team to do the same. CPAs often are seen as numbers magicians. So, funniest story that comes to mind is when I picked up two different divorce cases at roughly the same time in which I was the neutral arbitrator. After several meetings in each of the cases I figured out that the wife in one of the cases was leaving her husband to start a relationship with the husband in the other case. Long story short, I had to put my office on alert regarding scheduling so they did not end up in back-to-back meeting slots! Stories like these really underscore the diversity of the CPA profession – and illustrate the immense opportunity available to CPAs. It’s one of the reasons we’re seeing rapid growth in our fraud and forensics section and why being a CPA is many things, but never boring. What’s most rewarding to you about being a CPA? Elaine Leggett, CPA/CFF, Technical Manager - Forensic and Valuation Services, American Institute of CPAs. Most of Elaine’s career has been spent in public accounting. Prior to joining the AICPA, Elaine was the controller/firm administrator of a local CPA firm. In addition, Elaine spent eight years at a large local firm, working with clients from a broad range of industries, including construction, nonprofits, insurance and healthcare, on tax, audit and consulting engagements. They say necessity is the mother of all invention. And if that’s true, there may be some bright spots in this dour economy of ours. The U.S. Bureau of Labor Statistics offered insight last week into the amount of money households are spending. 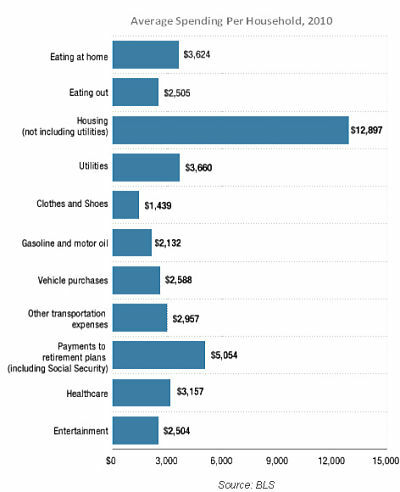 Last year, average expenditures dropped 2 percent, on the heels of a 2.8 percent decline in 2009. No surprise there. Consumers are in no mood to spend. Dig into the numbers a bit deeper and you’ll see some interesting changes in how they’re spending. Expenditures on vehicle maintenance, for instance, rose 7 percent, while spending on vehicle finance charges dropped 14 percent. At the same time, public transportation expenses increased 3 percent. This could suggest, at least in part, that consumers are holding onto their current vehicles longer and exploring other, cheaper options for travel to offset higher fuel costs. Both are smart moves from a personal financial perspective—especially if those behaviors stick. But make no mistake, the continued overall decline in spending also highlights a real challenge. Consumers account for about two-thirds of economic activity. When they rein in spending, the ripple effects can be extensive, as evidenced by the current unemployment rate and other challenges we’re facing. Consumers need to save to protect their financial futures. How do they balance that goal with our economy’s need for stimulation that spending brings? A recent Federal Reserve report (page 7) offered this statistic: Each one percentage-point increase in the savings rate is associated with a decrease in spending nationally of $100 billion. So what message should we be sending to consumers? In an economy with rising prices and declining spending, how do we help stimulate the economy while still encouraging saving? What advice do you give your clients and family? Cheryl Gravis Reynolds, Director of Communications, Advertising and Brand Management, American Institute of CPAs. Cheryl oversees executive, member, international and state society communications as well as advertising and brand management and social media strategy. She also leads the CPA profession's award-winning financial literacy campaigns, 360 Degrees of Financial Literacy, and Feed the Pig, a public service advertising campaign with the Ad Council. Stacie Saunders - The Virginia State Society of CPAs shared this video on the AICPA Facebook page. 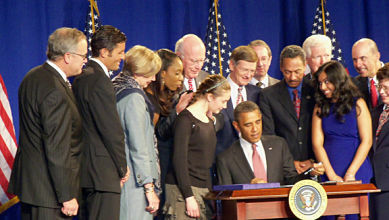 It highlights how some of their members contributed to the 2011 CPA Day of Service. Great work! Eileen Reichenberg Sherr, CPA, MST - The IRS announced in IR- 2011-97 that estates of people who died in 2011 need to file estate tax returns to benefit from the new portability rules even if they do not otherwise need to file an estate tax return. Since the estate tax return is due nine months after death, it could be due as early as Oct. 3, but a six month extension can be filed to give the estate more time to consider this option. Gregory J. Wright, MBA - In a move that surprised many, Bank of America stated it was going to roll out a debit card fee plan that would charge customers $5 per month if they wished to pay for purchases using their debit card. After criticism from the public, Bank of America went on the defensive, stating “…we lost lots of revenues and these fees only partially make them up.” Bank of America lost $2.2 billion in 2010 and recently posted an $8.8 billion loss for Q2 2011. We’d be remiss this week if we did not mention the passing of Steve Jobs as the biggest news item of the week. His innovation and leadership changed the face of technology as we know it. We leave you with this quote, which we feel summarizes his legacy well. This is from his commencement speech at Stanford University, June 2005. "[Y]ou can't connect the dots looking forward; you can only connect them looking backwards. So you have to trust that the dots will somehow connect in your future. You have to trust in something -- your gut, destiny, life, karma, whatever. This approach has never let me down, and it has made all the difference in my life." A few years ago, President Obama decided to boost the economy by proposing the “Making Work Pay Credit” – a tax incentive intended to put money into people’s pockets. 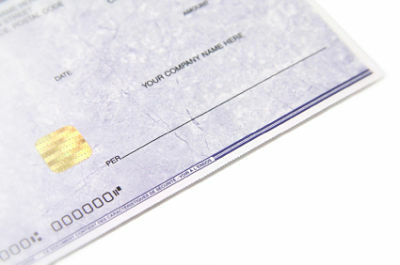 The credit was “delivered” by changing withholding rates so taxpayers would get a little more cash in each paycheck. However, it ended up frustrating some people because the withholding tables employers were provided did not always match the amount of the credit. For example, a two-income family may have taken home an additional $1,200 but only qualified for the maximum credit of $800, resulting in a family possibly owing $400 more at tax time. Similar problems existed for single people with multiple jobs because withholding was reduced by each employer, even though they could only get one $400 credit. Dependents with jobs also had issues because their withholding was reduced even though they were not even eligible for the credit. It was a five-year battle, but working together the AICPA and state CPA societies were gratified when President Obama on Sept. 16 signed into law a bill that includes a provision to prevent the issuance of new patents on tax strategies. We asked so many of you to send letters, and state CPA societies and members responded each time. Details on the harm tax patents could cause are discussed in this AICPA Insights blog post. 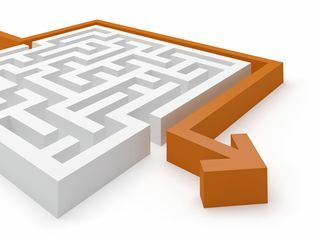 Tax strategy patents now become one of only a handful of patent types that the Patent & Trademark Office is prohibited from issuing, which includes medical procedures, nuclear technology and, now, tax strategies. I would like to thank each of the AICPA staff, members, states, committees and others who participated in this advocacy effort, which marks a huge victory for both the public and the CPA profession. It is important to note that existing tax strategy patents remain in effect so tax practitioners still need to remain vigilant. Patent applications pending as of Sept. 16 were discontinued and no new applications are allowed. This victory shows the positive results that stem from collaborative and persistent efforts when it comes to getting legislation enacted. Congratulations to those who played a part in this process. On behalf of taxpayers and the profession, I thank you. Barry C. Melancon, CPA, President and CEO, American Institute of CPAs.